Enter for the chance to win four tickets to Finding Neverland, a 2015 Broadway musical that hits the State Farm Center stage on May 1. 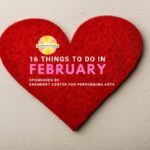 Check out our picks for the best family fun events in February. 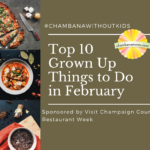 Concerts, plays, sports and more: It’s our list of grownup things to do in February, presented by Champaign County Area Restaurant Week. 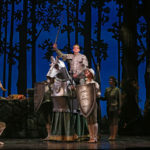 Rodgers and Hammerstein’s Cinderella is coming to State Farm Center — and here’s your chance to win two tickets to this Tony Award-winning show.